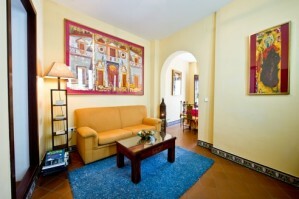 The location is very charming, in view of the Alcazar garden walls and on a picturesque sevilla street and plaza. 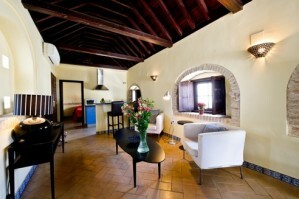 The price is high but you get a lot of amenities, such as a kitchen, which we did not need. For the price, the mattress could have been better and there could have been more and better pillows. 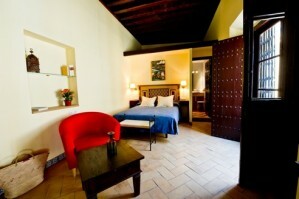 We stayed in the Superior Double with King Bed. It was in the Apartments building, not the hotel. 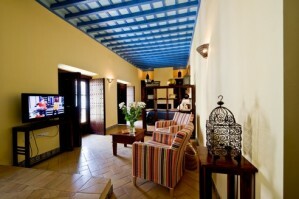 We had a great little balcony and the room was very well decorated. 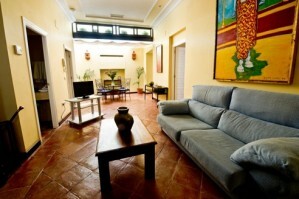 We did not think the value was so good, as it was geared towards older travelers not looking for a good deal. The plaza is full of mediocre restaurants owned by the hotel so you need to eat elsewhere. We had a nice stay but would not come here again. O apartamento Ã© espaÃ§oso e relativamente confortÃ¡vel. Amazing location, right in the heart of the famous and picturesque Santa Cruz District, just one minute walking distance from the Cathedral and Giralda Tower. 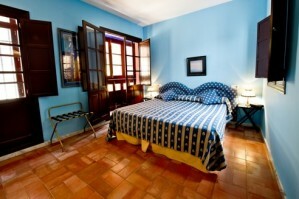 Quite location in a pedestrian area close to Tablao Flamenco show, Tapas bar, Restaurants... 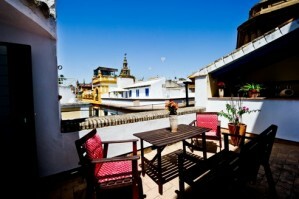 These apartments are ideal for a short break enjoying the magnificent city of Seville. 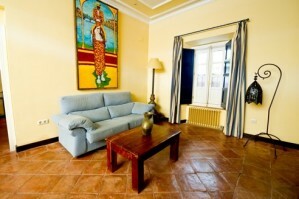 Apartamentos Suites Santa Cruz has one and two bedroom Apartments with kitchen and spacious Studios without kitchen, all of them equipped with a charming lounge area, FREE WIFI next to reception, and a communal terrace where to relax and soak up the sunshine. 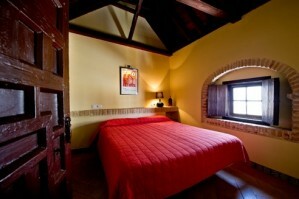 Cancellation is possible until 12 midday 7 days prior to the check-in date without penalty. Cancellation after 12 midday 7 days prior to the check-in date until any time of day 7 days prior to the check-in date is possible without penalty. Cancellation from any time of day 6 days prior to the check-in date until 1 am 3 days prior to the check-in date is possible without penalty. 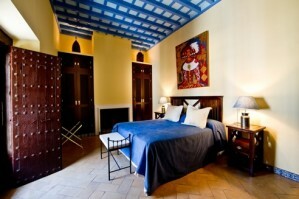 A no-show or a cancellation after 1 am 3 days prior to the check-in date, will incur a penalty of 1 night's stay.